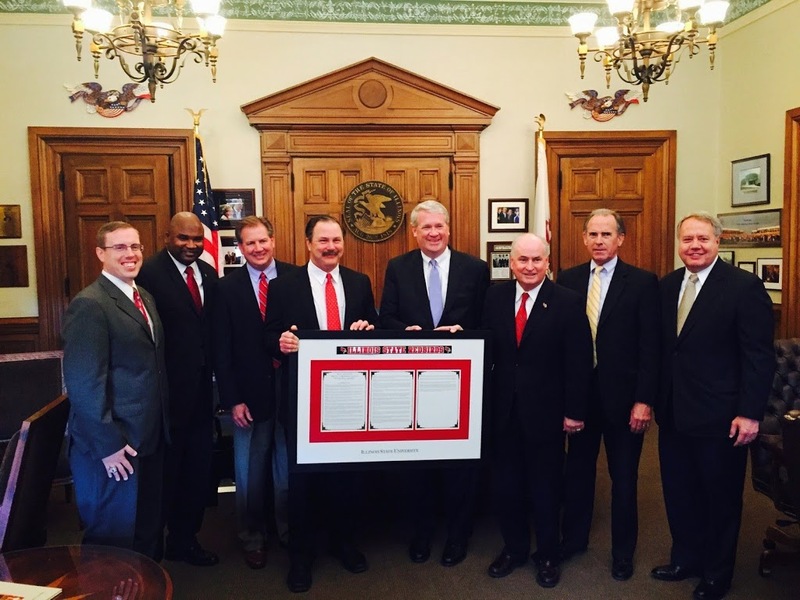 Rep. Brady and the House this week unanimously adopted House Resolution 106, congratulating the Illinois State University football Redbirds on their remarkable 2014-2015 season. The Redbirds had an amazing season, winning their first conference title in 15 years, and making it to the NCAA Division I Football Championship Game. Along the journey, the Redbirds defeated 7 nationally ranked opponents and set 16 school records, including most wins (13), most points scored (574), most touchdowns (76), and most rushing yards (3,619). Watch the resolution’s adoption here.